Kirk's red colobus monkey in the Jozani Forest in Zanzibar. Hermit crabs on the beach on Chumbe Island near Zanzibar. Vervet monkey in Lake Manyara National Park. Vervet monkeys in Lake Manyara National Park. 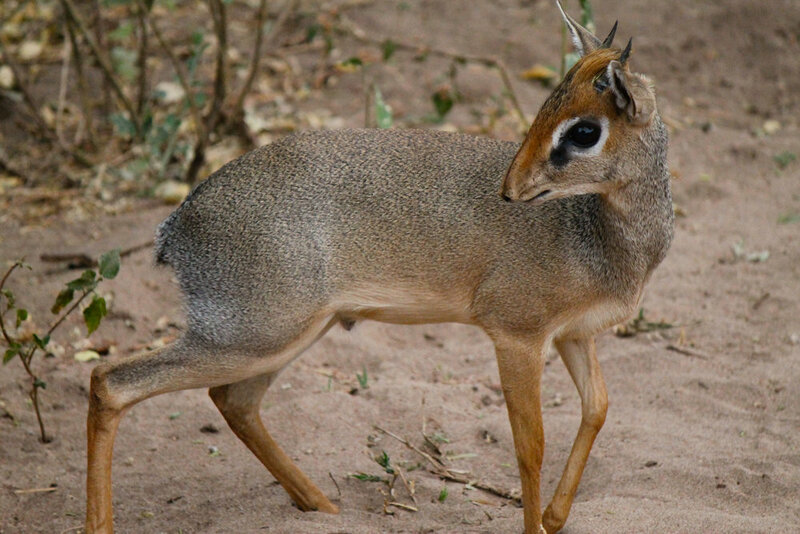 Dik-dik, a small antelope, in Lake Manyara National Park. Blue monkey in Lake Manyara National Park. Zebras in Lake Manyara National Park. 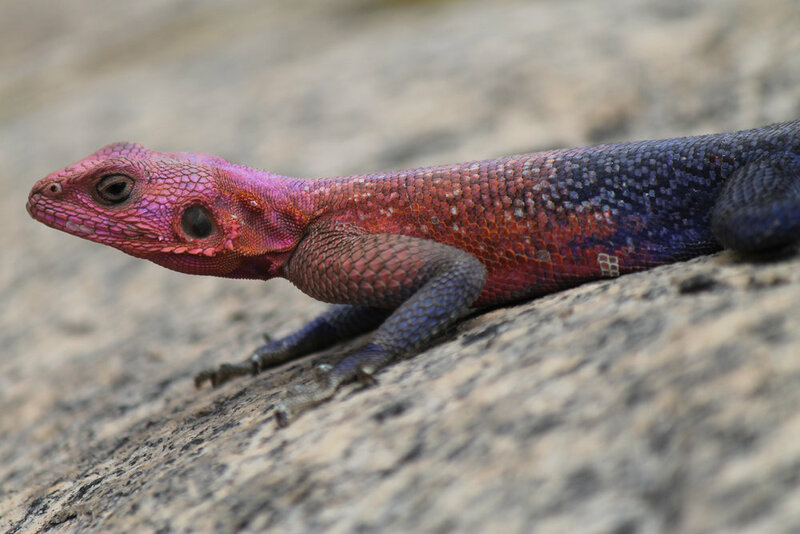 Agama lizard in Serengeti National Park. 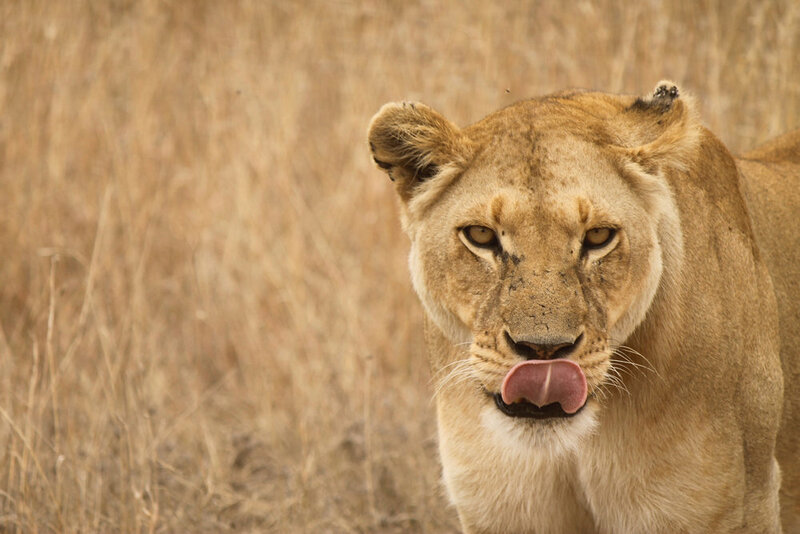 Lion in Serengeti National Park. Thomson's gazelles at a water hole in Serengeti National Park. Lion in the grass in Serengeti National Park. Gazelles in Serengeti National Park. Rock hyraxes napping in Serengeti National Park. 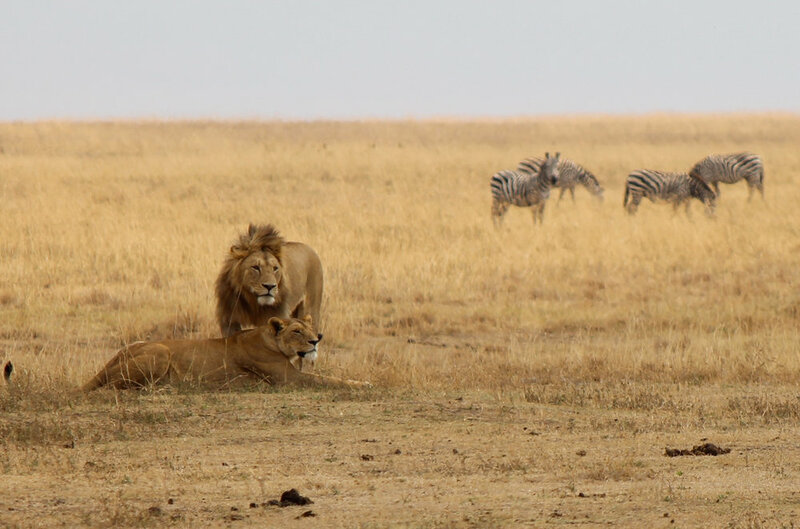 Lions ignoring zebras in Ngorongoro Crater. 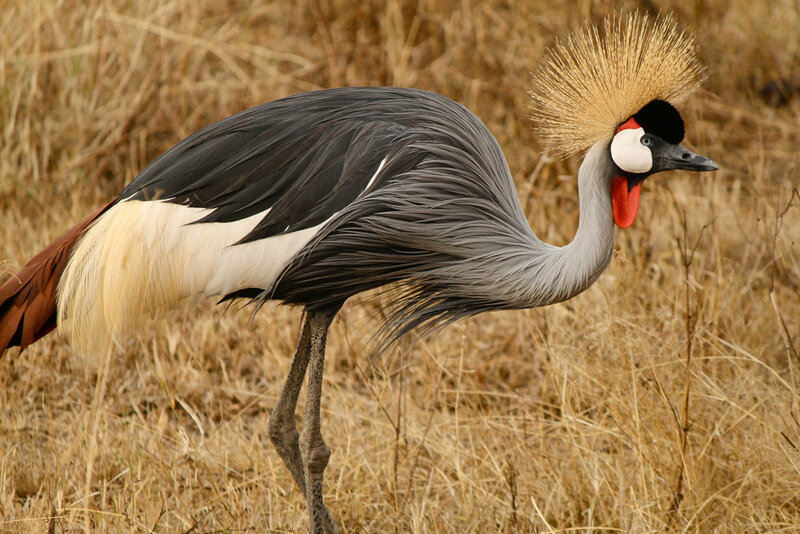 Crowned crane in Ngorongoro Crater. Masai tribesmen in northern Tanzania. The path up Mount Kilimanjaro. 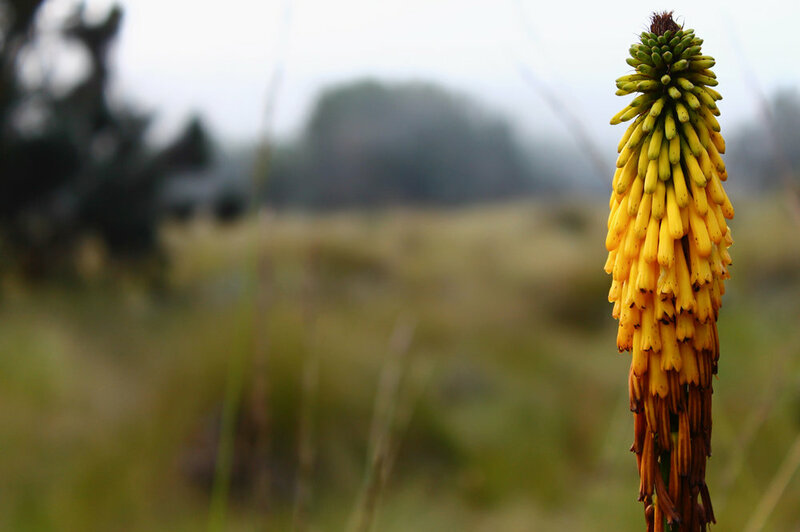 Red-hot poker plant on the way up Mount Kilimanjaro. Colorful plants on the way up Mount Kilimanjaro. Glacier near the top of Mount Kilimanjaro with Mount Meru across the clouds. 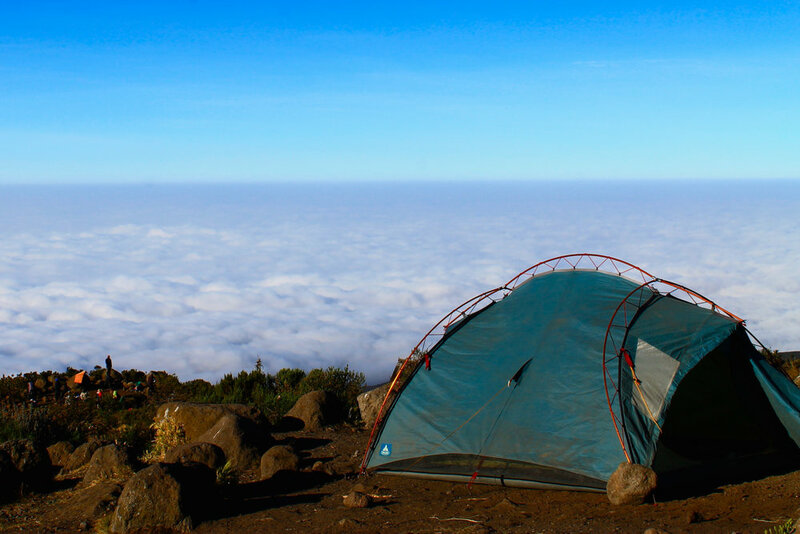 Camping above the clouds on the way up Mount Kilimanjaro.